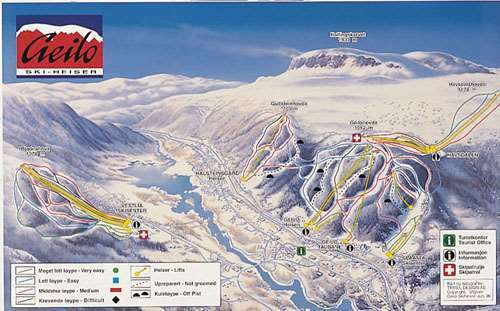 Norwayâ€™s second largest ski resort remains a firm favourite with the Brits. About half way between Oslo and Bergen, Geilo is also served by itâ€™s own airport only 20 minutes away from the centre of the town. The resort itself lies at an altitude of 800m, although it is extremely snow sure due to the local climate. 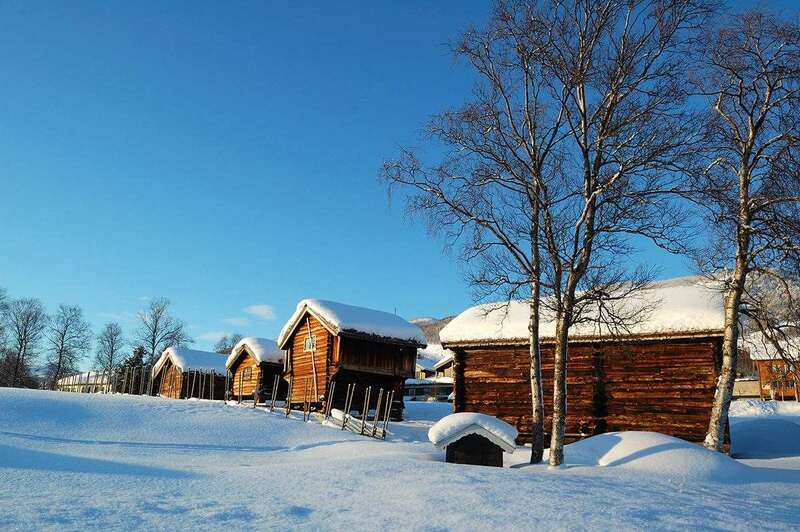 Ski holidays in Geilo are ideally suited to give beginners and families the complete skiing experience. Blues and greens are in abundance here and it is a fantastic place to learn how to ski. The numerous ski instructors all speak excellent English and queues are only conspicuous by their complete absence. Children are extremely well catered for with specialist ski instructors to give kids their first taste of skiing. Intermediates will find many a challenge, un-crowded pistes and cruising reds are the norm here. There isnâ€™t much for experts on ski holidays in Geilo, but this is the training ground for the successful Norwegian alpine ski team, so there are a few challenges to be found. The town of Geilo itself is divided into three parts with a frequent shuttle bus ferrying people around. There are a number of good restaurants in the centre and the town has a winter wonderland feel to it in mid season. Apres ski for ski holidays in Geilo is limited during the week, but kicks off during the weekend. Good boarding to be had here. Good park facilities. The Geilolia side of the valley is better for beginners, while the Town side offers steeper runs. There is more nightlife in a dieters fridge than here, but we went for the snow and a good time was had by all.